There is a huge race among smartphones as currently Apple and Android leading this market. The prevailing interest for smartphone is making much famous research firms to conduct various researches on this market on constant basis and coming up various predictions. The latest research and results from IDC lifted a new veil for these predictions. This IDC research revealed that Windows Phone will pretty soon lead the market almost all over shadowing the current popular contenders Apple and Android. This research also started soothsaying that by 2015 the Windows Phone occupies the throne successfully. The research result said the there will be one out of five smartphones sold will result from Microsoft. Is it really necessary for Apple and Android to react to this research? Coming to the facts, some people really find it tough to get along with Apple’s monopoly and Android’s beyond levels flexibility as a threat. Nokia was already in huge turmoil through its recent partnership with Microsoft. Nokia is no longer looking into the further developments for their Symbian as there is no such desired sales growth for it. 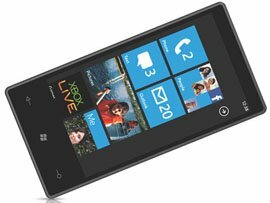 Perhaps, all these conditions might fuel up the growth for Windows Phone besides the huge popularity for Microsoft. Practically speaking the IDC results are going to be true until and unless Apple and Android change their approach towards their customer base. The recent security threat at Android Market is still warning many smartphone users and asking them to take a wise decision. Apple is still trying to control its customer base through its strong iOS and iTunes. Market is always against to the controls and all of the sudden there is chances to cut lose and start to go against to the limitations through available choices. This is clearly indicating that the Apple and Android is the people to reconsider their approach keeping in mind the possible threat. Above details are released by the IDC basing on their research. Just look into those jaw dropping predictions. There is one more vital factor to be remembered by everyone. The 2015 predictions mentioned 23.7% as Android share and in fact this is a commanding figure when compared with other contenders. But, reality is Google will not be making any thing out of this success. The Android’s major success share will goes to Oracle for its java-related patent suit issues. This is according to the Google’s acquisition agreement of Sun Microsystems in January. Microsoft too got its share in Google’s success to bite, through Android original equipment manufacturer and gets a part of share on sold out every HTC device. It is clearly indicating how the Google is going to be squeezed and what it is going to make out of its own success. This kind of squeezing might make Google to neglect from concentrating much on Android’s developments and stays happy with whatever is coming through. All the mentioned situations are really supporting the IDC perditions and definitely a success path started to lay down on own for Windows Phone’s future.